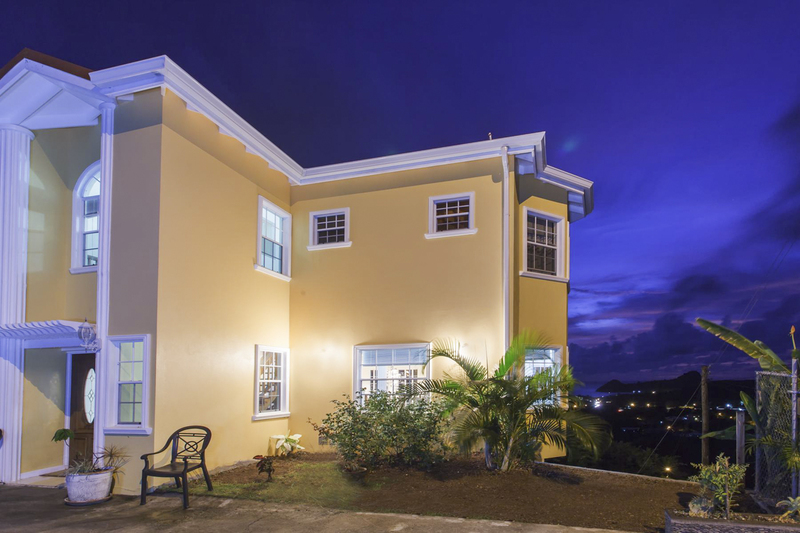 Situated in the exclusive Cap Estate, in the north of the Island, Kweyol is a beautiful newly built villa in the Belle View area of this wonderful gated residential development. 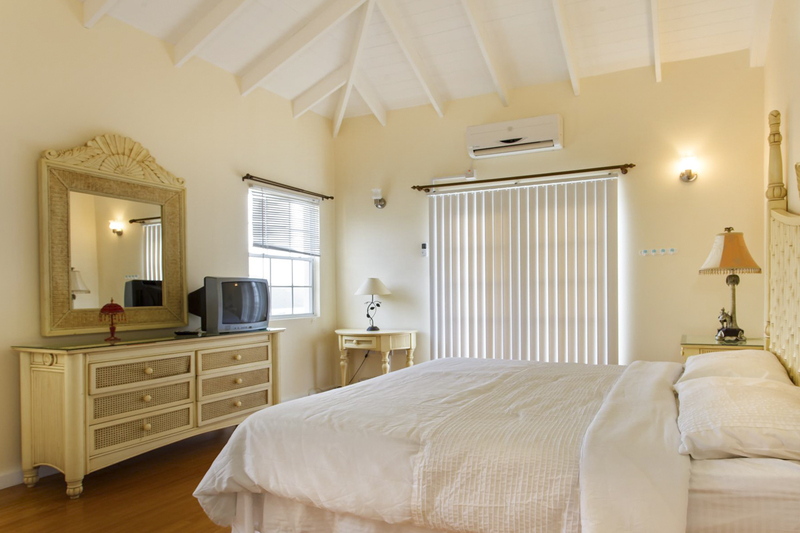 An old sugar plantation, with over 1500 acres of rolling hills, between the Atlantic and the Caribbean Seas, Cap Estate is the perfect location to enjoy peace and tranquillity yet know that in just 3km you can be in vibrant Rodney Bay, or stunning Pigeon Island in just 2km. And with a championship 18-hole course right on your doorstep, golf lovers won’t even have to leave the development to enjoy an afternoon on the green. 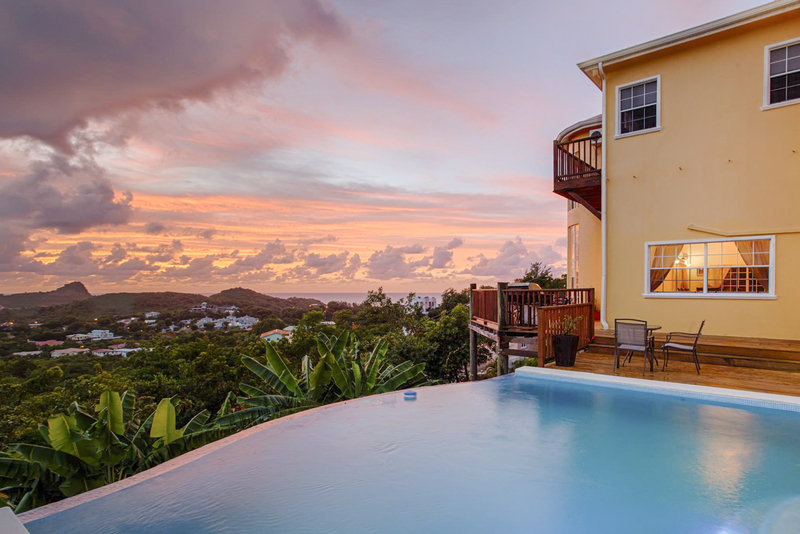 Having only recently been built, this marvellous villa offers fantastic modern living spaces with thoughtful design at its forefront, while still exuding Caribbean charm and elegance. 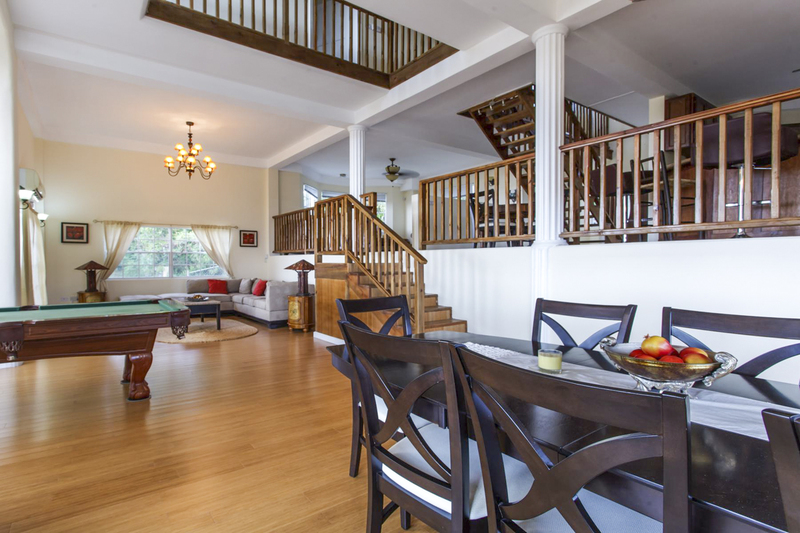 Sleeping up to six people, your family or group of friends will benefit from a stunning open plan living area. 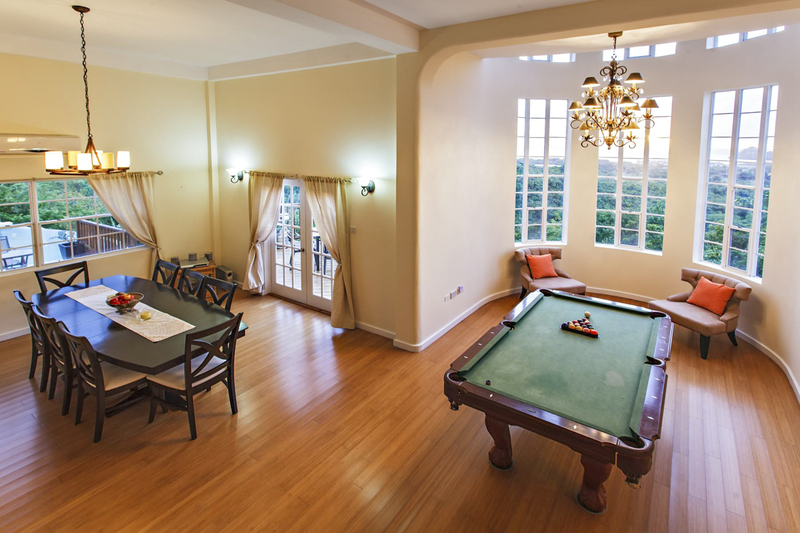 This huge expanse features a well-equipped kitchen, television room, living room with sumptuous seating, dining room and a fantastic games room with full size pool & billiards table, making the entire space the perfect arena for socialising with your other guests. 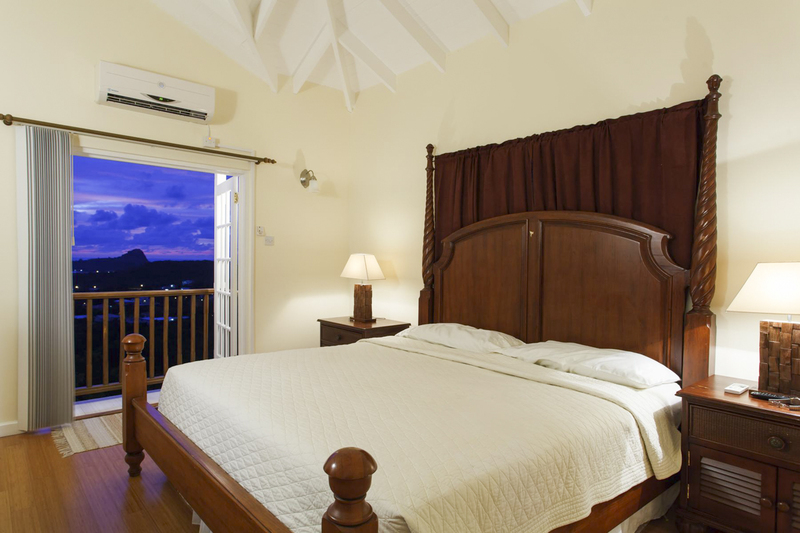 And with doors out onto the spectacular terrace you’ll appreciate breath-taking views out onto the rolling hills and down to the glistening Caribbean Sea. 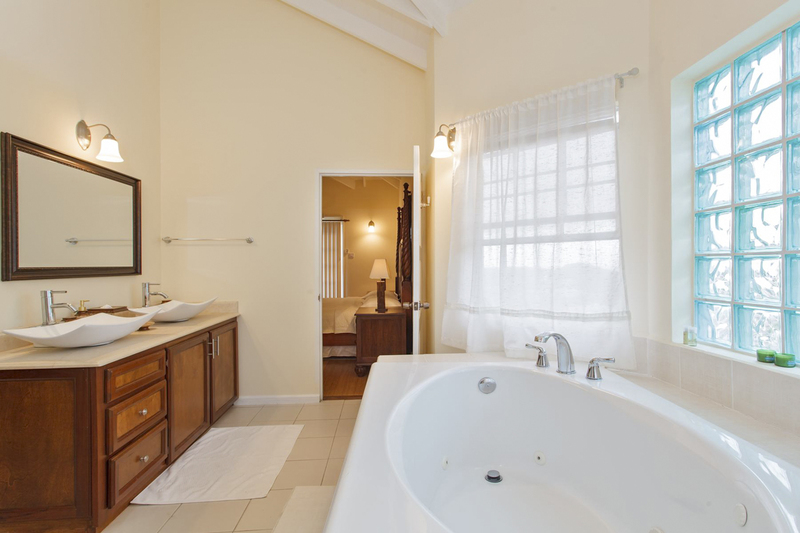 The three delightful bedrooms here at Kweyol villa are all double rooms with air conditioning, finished with fresh neutral décor and offering lovely ensuite bathrooms for your privacy. 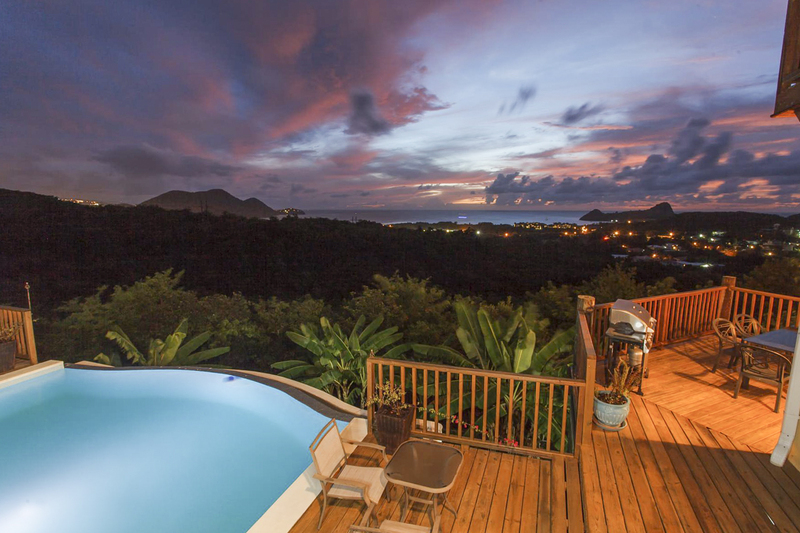 You’ll love to retire here at the end of a long day under the St Lucian sun, and with your own private balcony you can appreciate those stunning sea views late into the night and wake up to melodic birdsong as you enjoy your morning coffee. Just perfect. The outside space here is a fantastic extension of this modern retreat. With a decked terrace adjoining the length of the villa and a wonderful pool, guests will have plenty of space from which to enjoy those spectacular views down to the azure waters below. 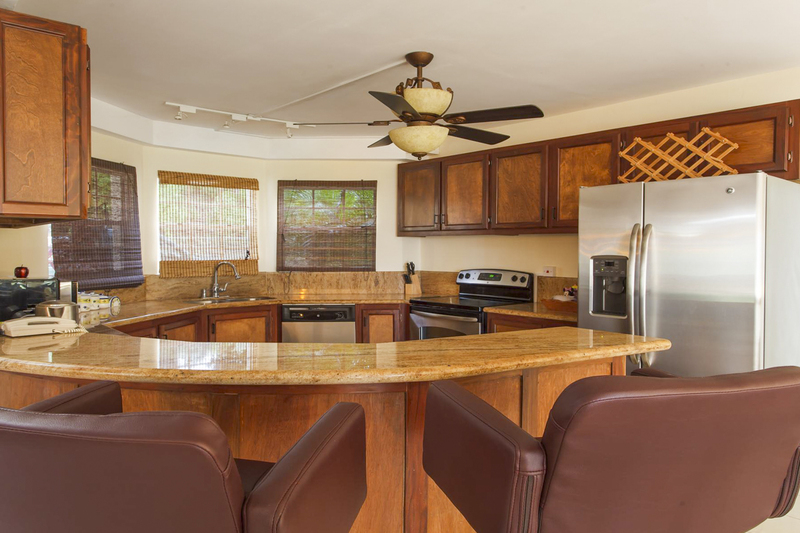 And with a stylish dining area, the opportunity to dine al fresco as the sun sets on another beautiful day in St Lucia will ensure you’ll never want to leave. 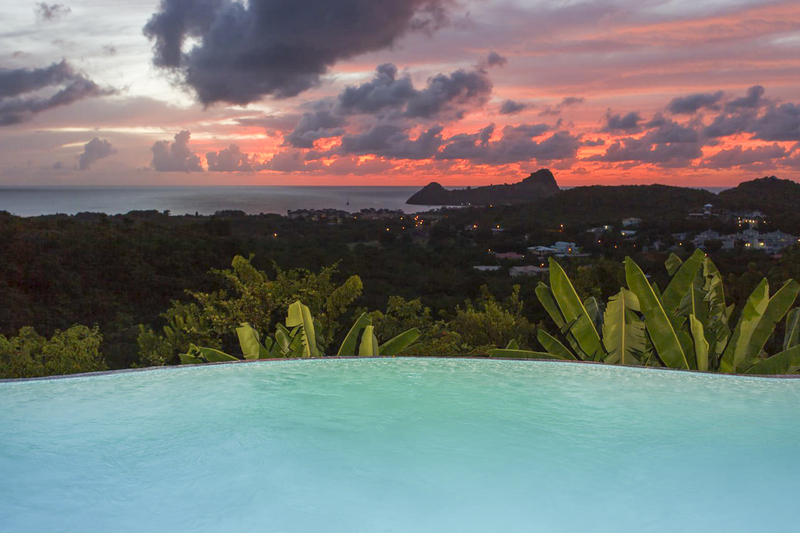 Located in the exclusive Cap Estate at the northern tip of the tropical Island of St Lucia, Kwetol Villa is set amongst the lush 1500 acres of rolling hills between the Atlantic Ocean and Caribbean Sea that this gated community offers. 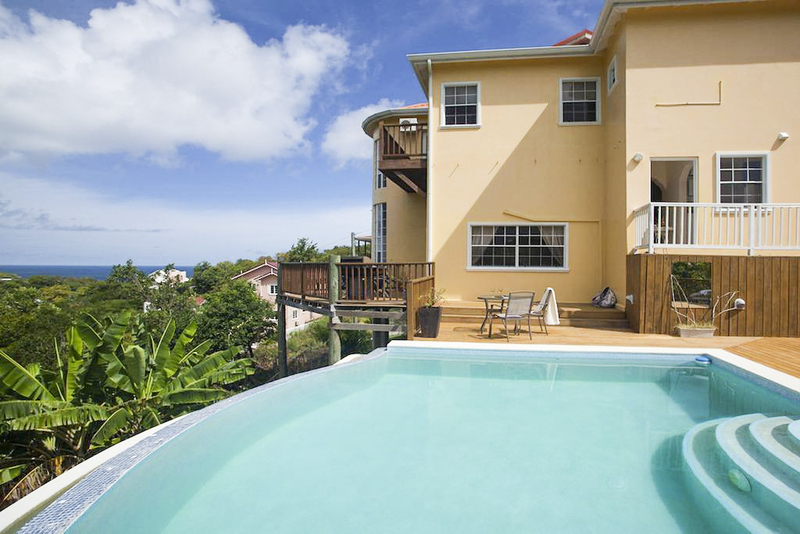 With an 18-hole championship golf course just 2km away and beaches on both the Atlantic and Caribbean coast just a few minutes’ drive from the villa, you won’t need to go far to enjoy your beautiful surroundings. 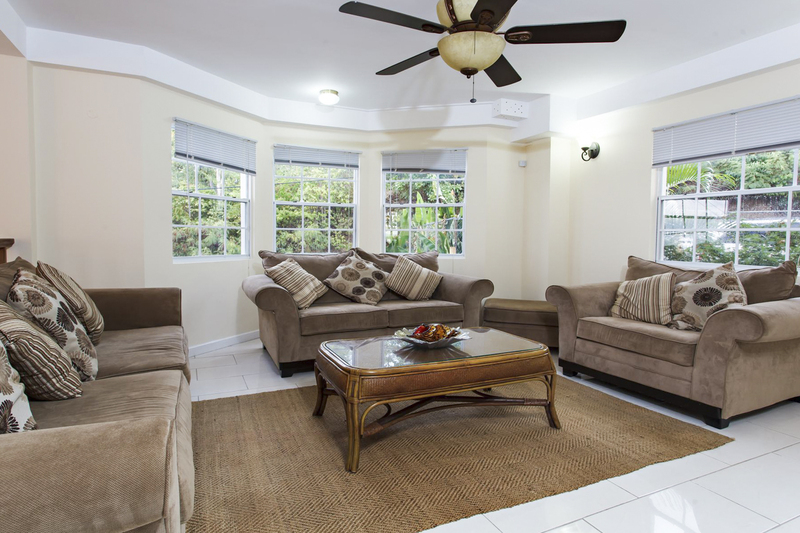 And whilst the immediate area offers complete tranquillity, the vibrancy of Rodney bay is just 3km down the road. The nearest beach can be found just 2km away in Pigeon Island National Park, a picturesque 44-acre national landmark that boasts a beautiful white sandy beach set amongst stunning scenery. 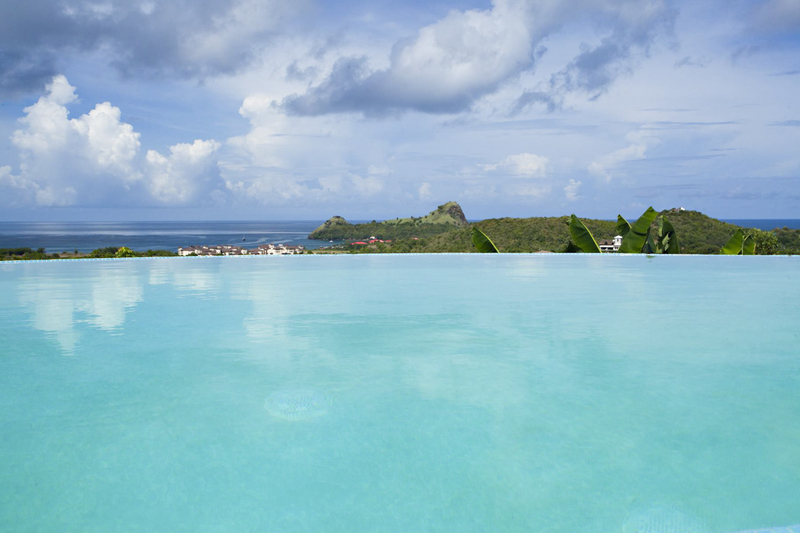 After soaking up the sunshine and swimming in the azure waters, you can visit the museum or climb to the vantage point of the historic Fort Rodney for awe-inspiring views including that of neighbouring island Martinique. Or head in the opposite direction to the dramatic Atlantic coast where adrenaline junkies will have the opportunity to kite surf or wind board at Plantation Beach just 4km away. Other notable beaches include the natural black sandy beach of Anse Chastane 52km south, where scuba divers and snorkelers will love to glide around most of the Island’s beautiful coral reef and all its fantastical offerings. Nature lovers might like to head to Grande Anse 23km south on the Atlantic Coast, where you can watch endangered leatherbacks crawl out of the water and lay their eggs on the shores. Or for family fun head to Reduit Beach 4km away, where banana boats whiz across the water and beach front bars pump out lively music. It’s also home to Splash Island Water Park, an essential excursion for kids of all ages. For lively town life, you have Rodney Bay just a five-minute drive away with its bustling nightlife and attractive marina bursting with glamorous supersized yachts, and great restaurants. A short distance from the marina, you’ll find Rodney Bay’s huge shopping complex; The Baywalk Mall. A hotspot for shoppers across Saint Lucia, this incredible centre has over eighty shops, a huge variety of restaurants and the only casino on the island. The authentic St Lucian vibe however can be found in Gros Islet just a few minutes from Villa Kweyol, where the historic streets are lined with rum shops and fishing shacks draped with drying nets, and the sound of reggae can always be heard day and night. Delve into culinary delights such as freshly cut coconut, BBQ chicken and freshly caught cod, and party the night away at a Jump Up – the fabulous rum infused street parties this area is famous for. This dynamic Island offers such a wide range of activities. Head to the epic rainforest in the south and take the canopy tour or for the brave, try ziplining through the trees. If hiking trails are for you then perched along the southwest coast and protected as a UNESCO World Heritage site, the dramatic twin peaks of Gros Piton and Petit Piton are among the Caribbean island’s most memorable landmarks. Or for the more sedate, why not have a soak in the Sulphur Springs, near Soufriere in the south. This healing mud pool is part of the world's only drive-in volcano. However, you like to spend your time, there is something for everyone on the Island of St Lucia and all within easy reach by car.